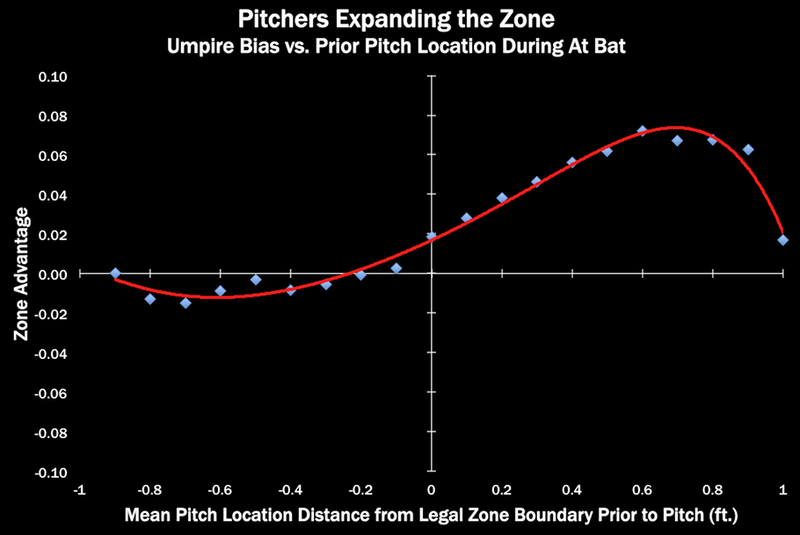 My latest Benefit of the Doubt piece examines how pitchers manage to expand the strike zone over the course of an at bat. The sweet spot (not controlling for pitch type, handedness or other factors) seems to be about 0.6 ft. (7.2 in.) off the plate. A pitcher who keeps his pitches at that distance from the nearest boundary of the legal strike zone over the course of an at bat will get a free strike every fourteen called pitches or so.